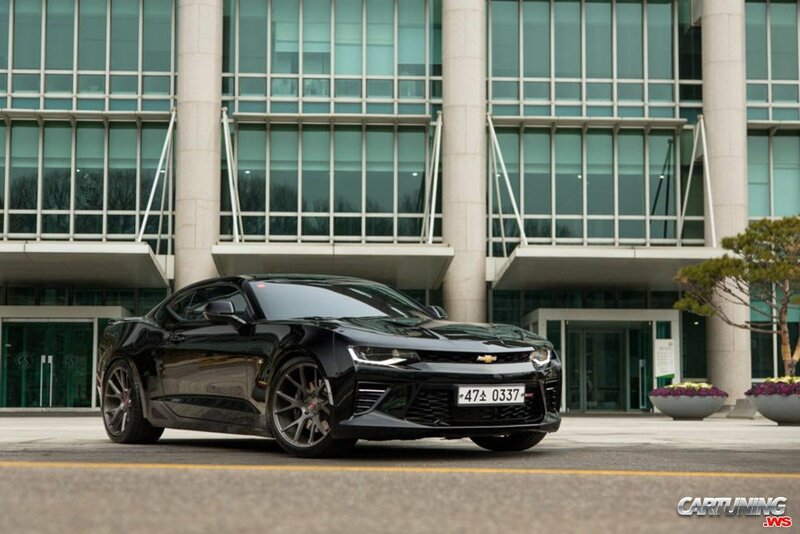 Black 2017 Camaro from South Korea. Lowering and rims Vossen made Camaro else more fury. It's not typical car for Korea, even in stock.